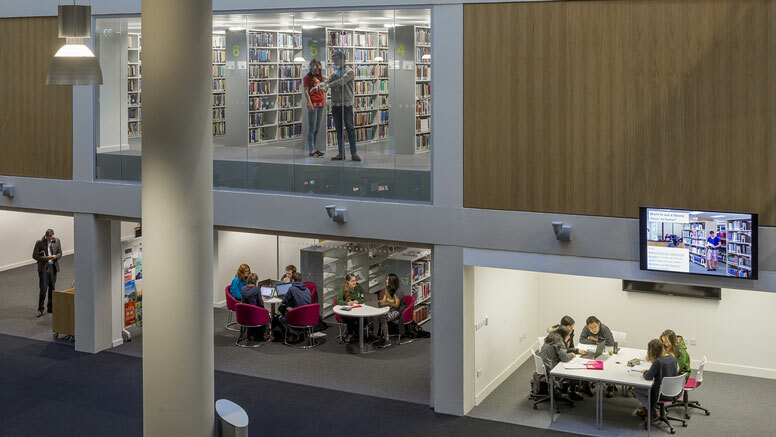 The George Green Library is the subject library for science and engineering, finished late 2016 after a three-and-a-half year, £20m refurbishment project. The project vision was to create a state-of-the-art facility enhancing the University’s position in the leading group of universities. Following a competitive tendering process, Hopkins Architects submitted what would become the successful bid to redevelop the George Green Library at The University of Nottingham. With an impressive track record of working on large infrastructure projects at a number of other top universities, including Yale and Princeton, Hopkins were selected for their understanding of the spaces students like to study in, and the role that good architecture plays in creating an environment conducive to learning. The ambitions of the project went further still: to create a distinctive architectural identity that students would find stimulating and would be proud to be associated with. The environmental and sustainability strategy of the building was key to the original brief. 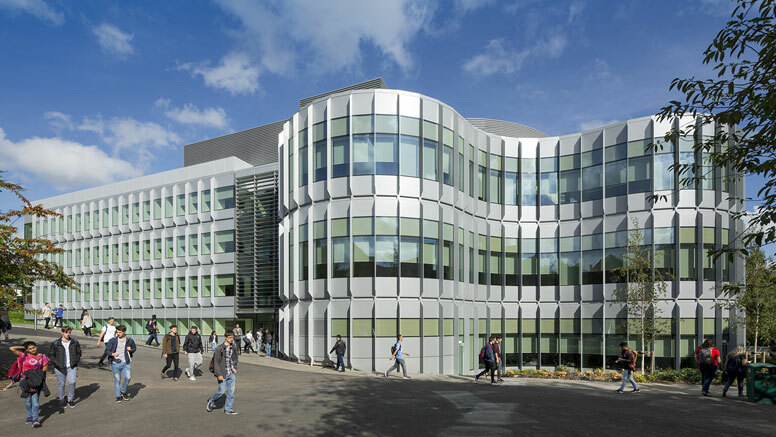 Developed around six core objectives and the requirements of BREEAM, the project delivered a building shaped around occupant comfort, while limiting consumption of natural resources and providing a positive social benefit to the University. University of Nottingham students and the Students’ Union were involved throughout the project – from consulting on colour scheme and furniture to helping us determine the food and drink policy. With the student voice at the heart of the project, the Libraries team were able to deliver a fantastic library, offering a step-change in student experience. Early indications show use of George Green Library has increased by nearly 40% compared to 2014. It has also allowed for an increase in the number of computers and the laptops available for loan. In March 2017 the George Green Library was officially opened by His Royal Highness the Duke of York, much to the delight of 170 invited guests including staff and students, past and present, as well as the project team and guests from other universities. A blog post on the opening ceremony.